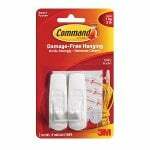 They are used with varying sized 3M hooks to hold inline water filters to your wall, refrigerator, or other appliances as well as brooms with handles, towels, rags, cleaning tools, and much more - they can be used to hold up just about anything with a hook or a loop depending on the size of the 3M hook used. 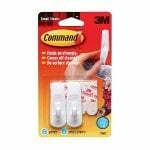 These 3M Command Adhesives stick strong to your wall but will still remove cleanly without scuffing up your wall. 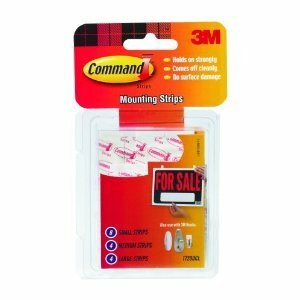 These 3M Command adhesive strips are perfect for holding up in line filters, organizing clutter, or decorating around your house. 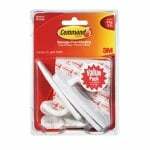 This 3M 17200 Adhesive Strip Assortment Pack includes eight small adhesive strips, four medium adhesive strips, and four large adhesive strips which can be used with the various sized hooks that are manufactured by 3M.